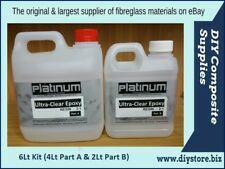 Platinum Superclear is not a replacement for our biggest selling Platinum Ultraclear Series but instead an additional series offering slightly different properties. It is used in all similar applications as UltraClear but offers a similar high clarity with similar shine but just a fraction less gloss to meet those who demand the reflective shine but not the chrome gloss effect. 6 Ltr. pack! Total Kit consists of 2 parts. 4 Ltrs. of Casting Resin Part A and 2 Ltr. Our casting resin provides exceptional crack and craze resistance with excellent transparency. 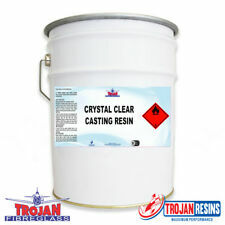 Polyester Clear Casting Resin. Trojan Fibreglass Pty Ltd is a fibreglass and composite manufacturer located in the Newcastle area. 8 x 3g Super Glue Tubes Adhesive Instant Supa Glue Extra Strong DIY. These Glue tubes are very easy to use and have a re-sealable Cap. To keep tube tip clear, wipe excess glue with cloth. Simply to apply. CLEAR 000 (TRANSPARENT) ACRYLIC SHEET. 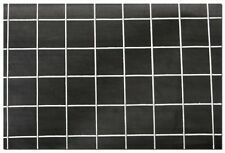 Acrylic Sheet also known as PMMA. In addition, Acrylic has low water absorption, good electrical resistance, and fair tensile strength. Acrylic is more resistant to impact than glass. 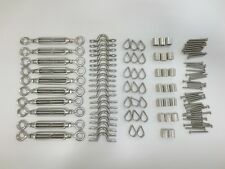 40 x 38mm x 6g Countersunk Stainless Steel Screws. 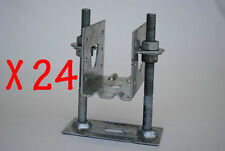 20 x 5mm Saddles Stainless Steel Marine Grade 316. You will require wire cutters and a hand swager to complete the job. 20 x 3mm Thimbles Stainless Steel Marine Grade 316. 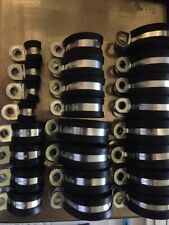 Aluminium V Belt Pulley A Section Single Groove various sizes from 1-1/4 to 20"
Ø3mm SHOCK CORD / BUNGEE CORD, SOLD PER METRE. AUSTRALIAN MADE "FREE POSTAGE"
Epoxy Resin Kit 5:1 ratio - 4.8 Ltr (FREE FREIGHT) - Uses 'SLOW' Hardener(other sizes available) Epoxy Resin Kit 5:1 ratio - contain high 'tradesmen' quality resin and hardener, formulated in Australian for Australian conditions. (Epoxy Resin Kit is supplied as a complete pack with the correct amount of hardener). The Epoxy Resin Kit is a Low Viscosity Epoxy Resin that can be used in a huge variety of applications including boat hulls and structures which need to completely exclude moisture, as well as laminating and bonding of nearly all materials. When modified with fillers such as wood powder or Colloidal Silica the resin can be used as a filling and fairing compound with outstanding results. 4 x 2M Weather Stripping Sponge Foam Rubber Strip Tape. 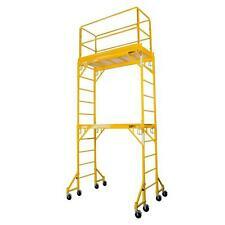 The size 1m x 25m is light weight and easy to handle. Also used behind gabion retaining walls as a filter between the soil and gabion. It will prevent soil from entering the gabion structure. 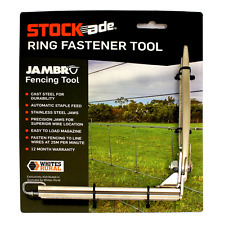 Need a quantity of this item?. Buy Direct - don't pay retail - selling like hotcakes! Caravan Window. Acrylic CLEAR Cast Sheet Details We accept orders of acrylic rods and tubes in customized sizes. Acrylic Application Art Project. School project and hobby job. GLOBAL 372 ACRYLIC PTY, LTD. Size: 2 x A4 size pieces 297mm x 210mm. 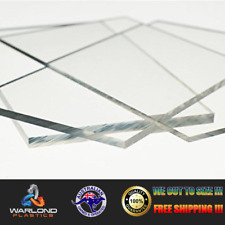 Acrylic Sheet also known as Perspex®, PMMA, Plexiglas. Better Than Glass only use tier one, top quality cast PMMA acrylic that has a 30 year no UV yellowing warranty. 3mm Stainless Steel Chain - Australian Standard Regular Link - Marine Grade 316 - shiny silver finish. What Are Some General Home Building Materials? Whether you're building a home completely from scratch, or you're trying to fix up your current home with a little bit of DIY know-how, there are a few construction materials you should have on hand as you begin any project. Perhaps you're doing a slight remodelling task, or you've decided to tackle your pipes; there are many different types of plumbing, building and construction supplies, and building materials available at your disposal to get any job done efficiently. What Are Some Plumbing Necessities? Tools: Depending on the type of job, you'll certainly need pliers, wrenches and other plumbing tools. Taps and mixers: To replace a sink or a faucet, you'll need a replacement tap or mixer, which usually comes with the installment hardware. Sinks and basins: If you're replacing an entire unit, you'll also need a separate basin to go along with a tap or mixer. How Can I Organise My Home Office? If you work from home either full- or part-time, and you want to get your space a little better organised, there are a few home remodeling ideas to spruce up the space, and tidy it up. Add filing cabinets: If you have a lot of loose papers and files, even if they're in drawers, it can become messy and hectic. Add file cabinets that fit in perfectly with your existing ensemble, or standalone units that handle all of your files. Use wall space: You may also want to use floating cabinets or shelves, or available wall space to use for not only storage, but decoration. Hardware: Not all cabinet pieces or kits will come with the included hardware, so make sure you have hinges and screws on hand. Also, this allows you to customise your cabinets. What Are Some Electrical Supplies? If you're planning to try your hand at some electrical work, you'll need some materials and tools for this area of DIY as well. Switches and sockets: If you're replacing or rewiring these, make sure you have plenty of switches and sockets on hand to complete the work. Wire: Different electrical jobs require different types of wire. Ensure you have everything you need by stocking up. Safety switches and locks: For more complicated installations, you'll need safety sockets and switches for many types of jobs.